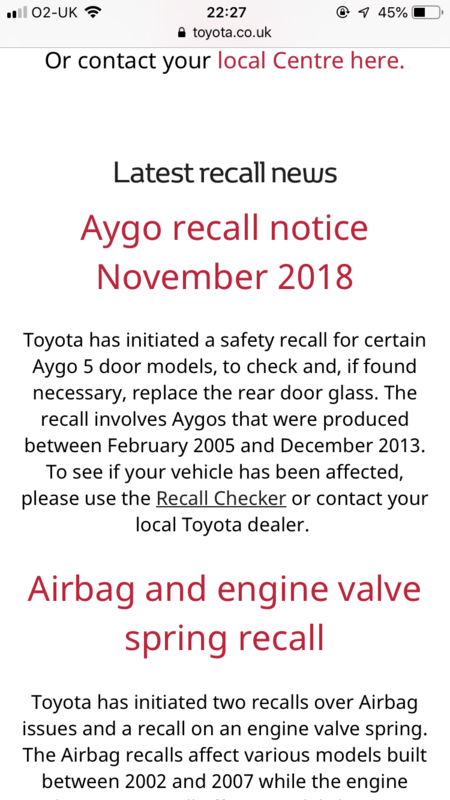 Bought my 2010 plate Aygo on Saturday, was checking history today and gov website advises there is a recall on the car, Toyota website confirms this.. I assume this may be the clutch recall? 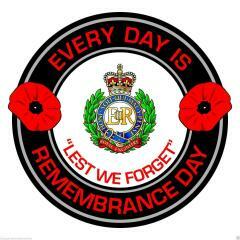 Or was that the 2009 plate? Will call Toyota first thing, I'm just flapping because, its my first car! And welcome to the club, did not realised you just joined. if it's a 3dr could be the rear window glass bonding recall. I think that was a few years back Heidfirst after 2010? not 100% on that though, reminds me to stick with Yaris them Aygo's sure don't seem to be made as well or to last as long, dread to think what shape a 60k Aygo would be in and if it would go to 120k ok? shame because the Aygo is a tad more fun to drive. I think that was a few years back Heidfirst after 2010? There has been quite a few recalls so is hard to keep track, my last Aygo had water leaks in the passinger foot well, door seals for you and the break dics needed replacing after 8 months Toyota dealer was great fixed and paid most of the disc money with a good will gesture but i have been doing the same short miles around 8000k a year in my Yaris's and zero problems, Gorgiegirl seems on the ball and checked the recall history the Aygo is a cheap car for a reason, mind you some of the Yaris's are now starting to get bulid in France! hope it does not affect the bulid quality in future models? Yeah Czech for them, will have to check! lol my vin number on my Yaris said on the forum that you can tell by the first letter if it is assembled in France or not? , know they will be trained up by Totoya but still you think was buying a Renault Clio! at least you do not get the French parts thank goodness but hopeful you do not get the French build quality either! The Aygo/C1/108 are all built in the Czech Republic. The recall posted is for the rear side windows on five door cars. Car is in the garage, it's for the windows. Turns out mine did need replacing so its a 2 day job!